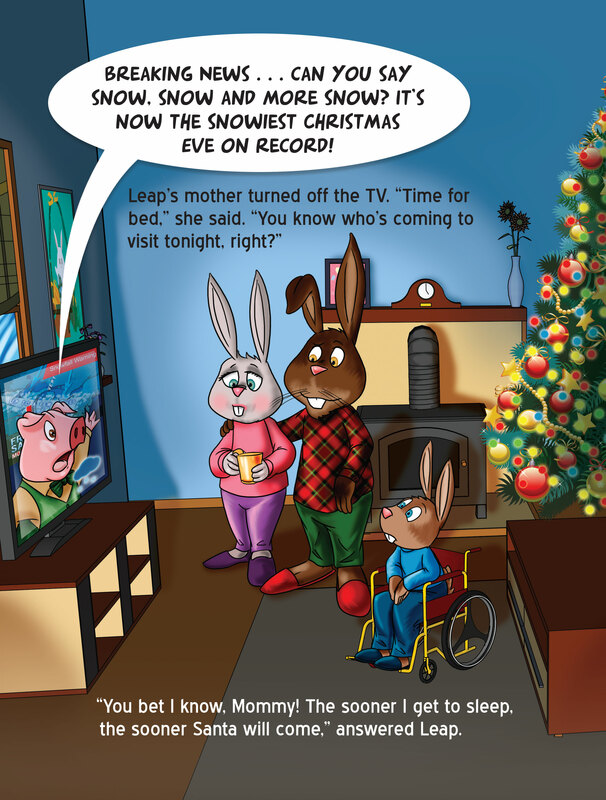 The X-tails gang is back in their first ever Christmas story! 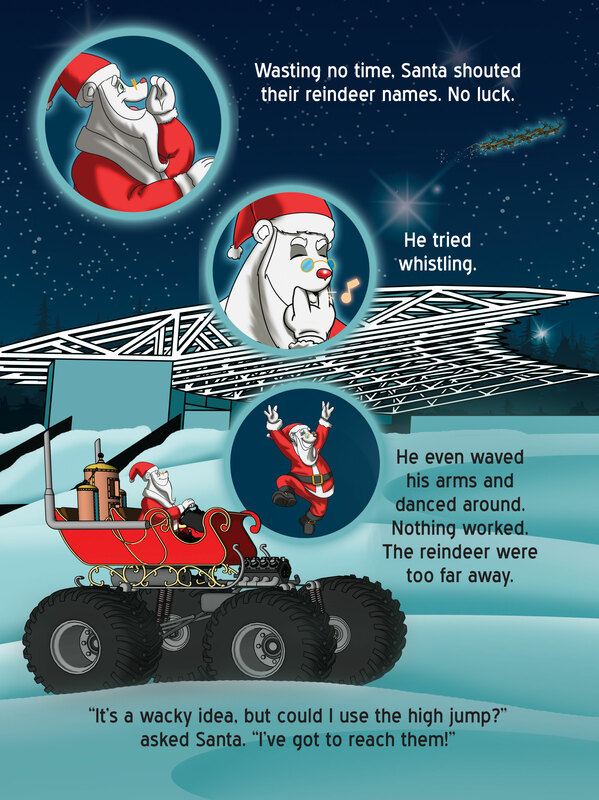 It’s a smashing good time at the X-ville Christmas Eve Masher—the only monster truck show in the snow. After pancaking the last car, the X-tails are on their way home when they spot something amazing. Sitting on the side of the road, looking not-so-jolly, is Santa Claws! 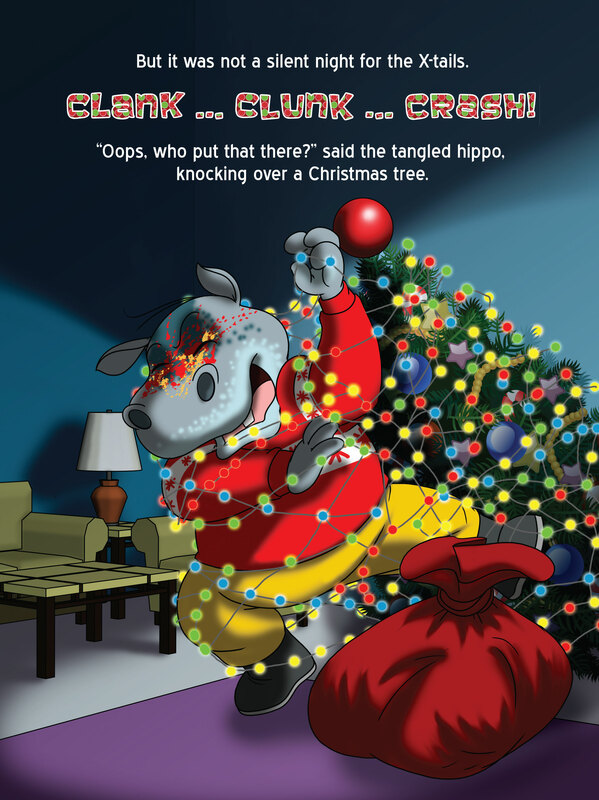 His reindeer have escaped, and after a crash landing, his sleigh is a twisted wreck. 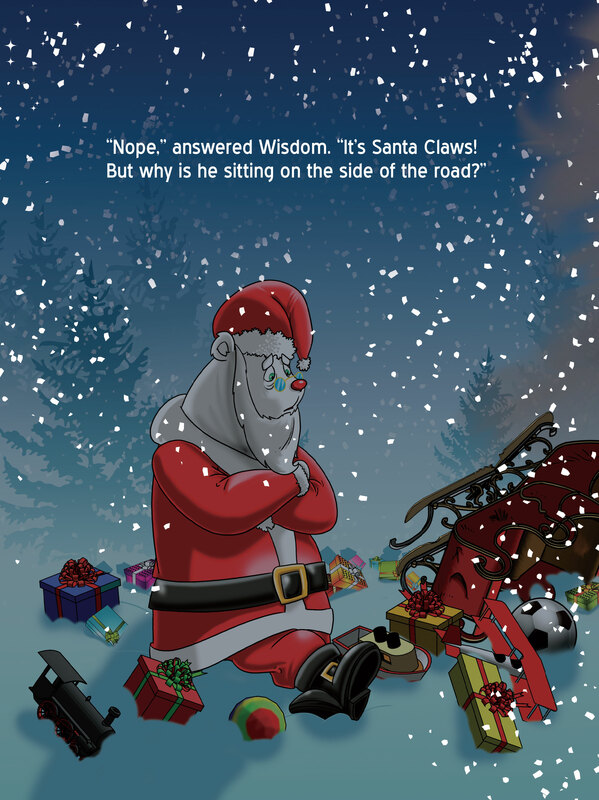 Even worse, Christmas morning is just hours away and the town of X-ville is without presents. 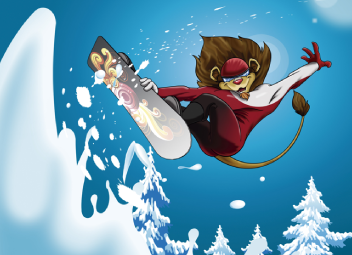 Wisdom the lion and his friends have a plan. 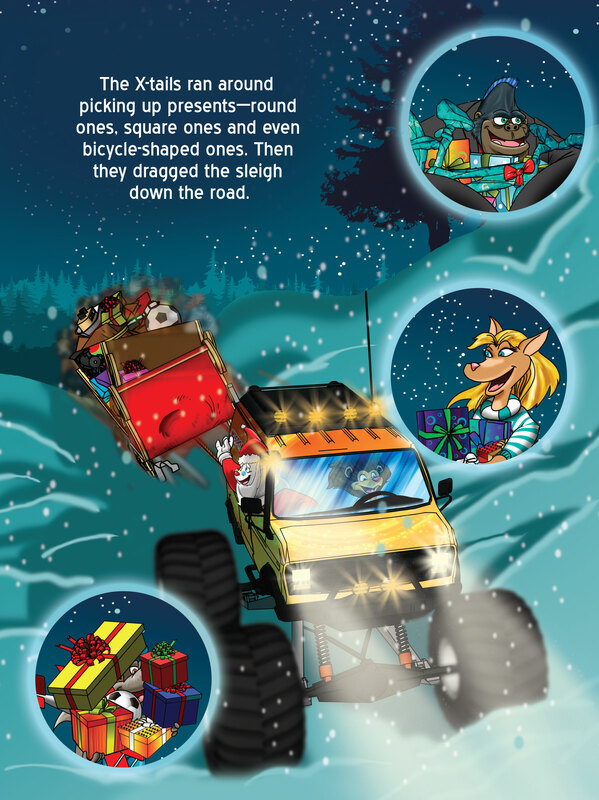 After turning the broken sleigh into a zoober-supreme delivery machine, they’re ready to help Santa deliver presents. 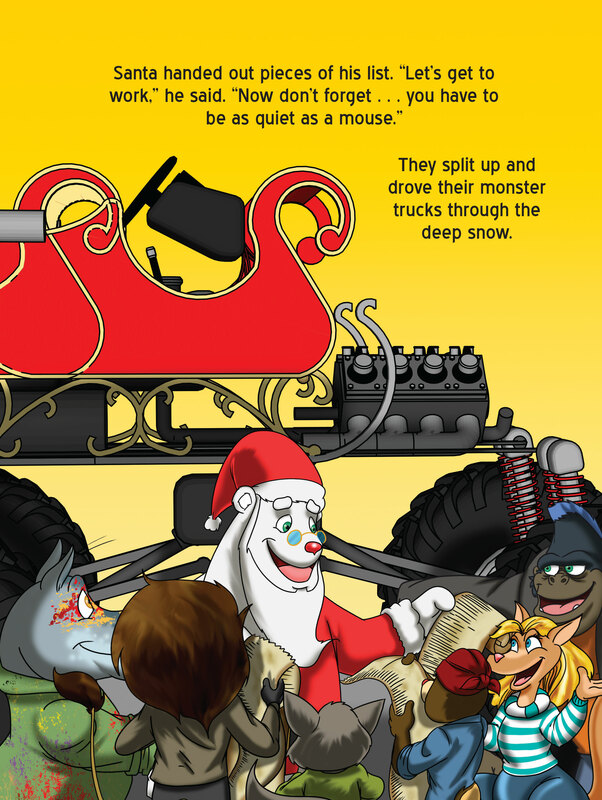 Hopping into their monster trucks, they quickly learn it’s not easy being Santa’s helpers—especially when they’re missing a present for a little rabbit named Leap. 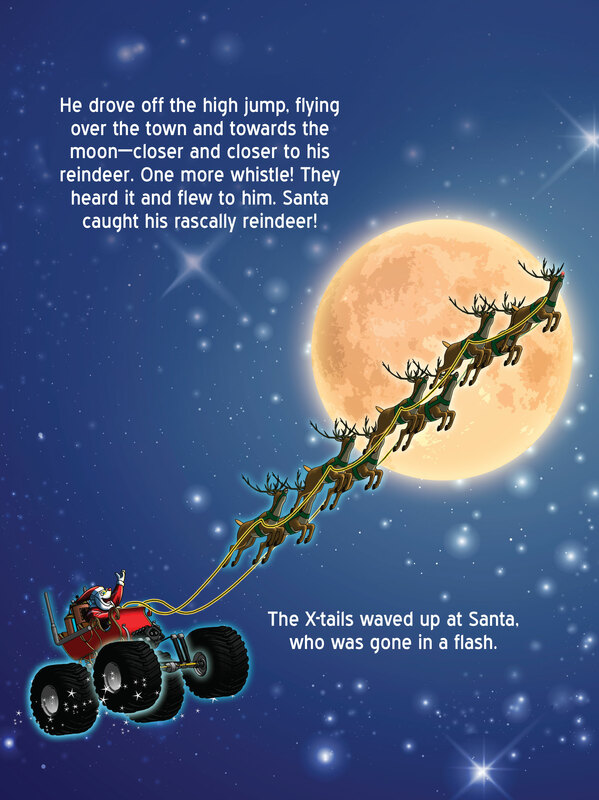 This magical night gets even more exciting when Santa tries to catch his rascally reindeer! 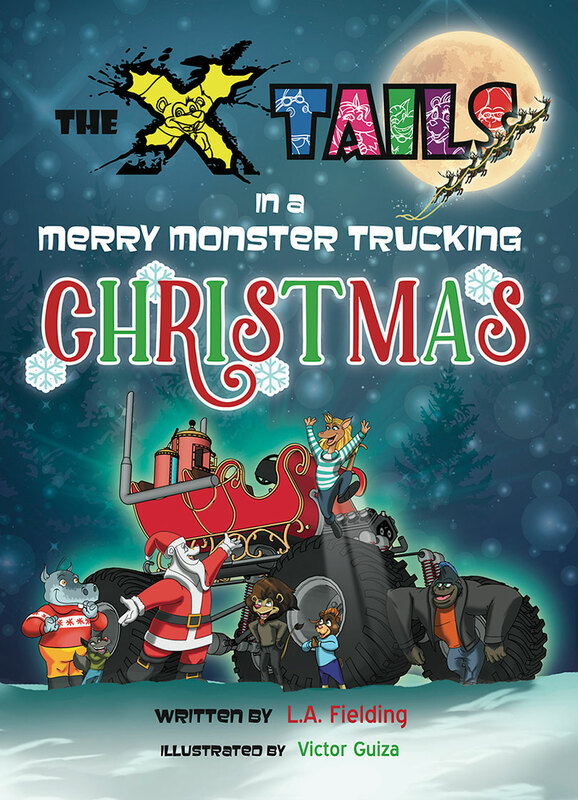 It’s a monster trucking adventure for the X-tails, but will they learn what the spirit of Christmas is all about?